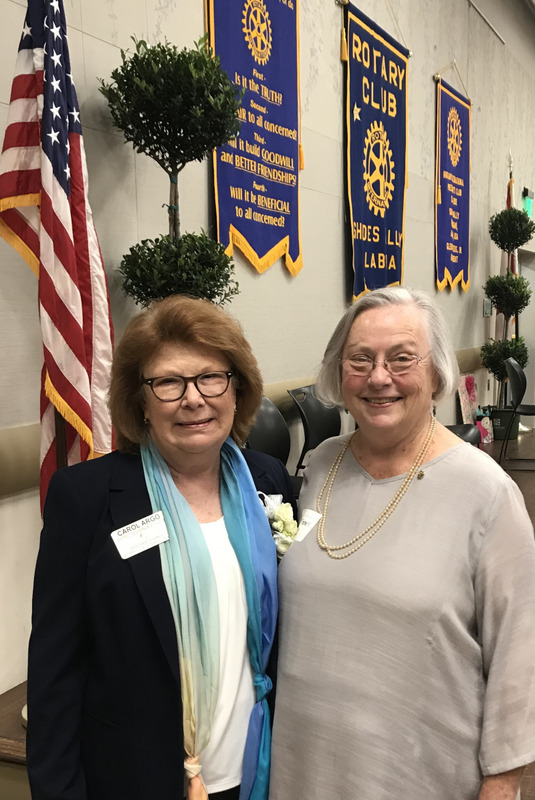 Established on October 14, 1963, under the sponsorship of the Rotary Club of Ensley, the twenty-eight charter members began meeting on Tuesdays at 12:30 p.m. The late Henry Wurtele, the late Irvin Kinney and the late Ray Hurlbert were the founding fathers . The Charter Meeting, held on the evening of December 10, 1963, was attended by Rotarians representing most of the other clubs in the district, as well as by the members of the new club. The original area served by the club included Homewood, Mountain Brook and Vestavia. Then, in 1966-67, Rotary International extended the service area to include Hoover and Homewood Industrial Park. Originally, club membership was based on the location of one's business but, by action of the 1968-69 Rotary International Convention, membership was opened to residence as well. In May, 1988, the club inducted its first female members. A significant action of the new club was its beginning as a 100% Rotary Foundation Club, and its present level is among the highest attained by any club in the district. Shades Valley boasts more than 100 Paul Harris Fellows, and many of its members are Paul Harris Sustaining Members. Rotary Club of Shades Valley has engaged in a wide variety of projects. Substantial cash contributions have been made to the Shades Valley Branch of the YMCA, to the Emmet O'Neal Library, to The Children's Hospital, to the Birmingham Botanical Gardens, to the Youth for Decency rally, to the Cahaba Girl Scout Council, to the Ronald McDonald House, to the Girls School at Chalkville, to the Disaster Relief Fund for the Pell City area and to many other worthwhile community endeavors. A major early project was the building of the Rotary Friendship Circle Walk in the Japanese Gardens and presenting the Gardens with contributions of authentic decorations from a number of Rotary Clubs in Japan. When the club first began meeting at the Birmingham Botanical Gardens, it occupied a large, austere exhibition hall. A special committee pooled energies and talents to develop a renovation program which carried an $18,000 price tag. The club solicited a cost-sharing agreement with the Botanical Society, its Auxiliary, and with the Birmingham Park and Recreation Board to complete the renovation. It replenished its treasury in November of 1978 by hosting a gala opening celebration. In 1987-88, the Botanical Gardens again underwent major work. 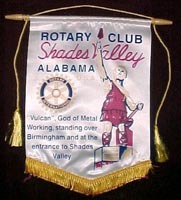 The Rotary Club of Shades Valley contributed $20,000 toward the construction and finishing cost and returned to a new and more attractive Botanical Gardens Auditorium in January, 1988, available not only for the enjoyment of the club but also for thousands of others in our community. 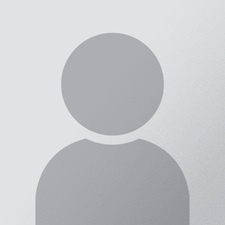 Glenn E. Estess, Sr. is the Retired Chief Executive Officer of Glenn Estess Associates, Inc. Born in Pike County, Mississippi; he earned a degree in Chemistry and Physics from Tulane University in New Orleans, Louisiana. Glenn is one of five brothers who were Rotarians. At one time four were Presidents of their respective clubs. Glenn is past chairman of trustees of the Baptist Health Systems, an eleven-hospital system headquartered in Birmingham, Alabama with approximately 10,000 employees. He served as director of the Better Business Bureau of Central Alabama and as a trustee for the Workmen's Compensation Trust of the Business Council of Alabama. Earlier in Florida he was chairman of the YMCA, the American Chemical Society and the Arthritis Foundation. He was also a member of the Board of Regents of the National Association of Personnel Consultants in the United States. 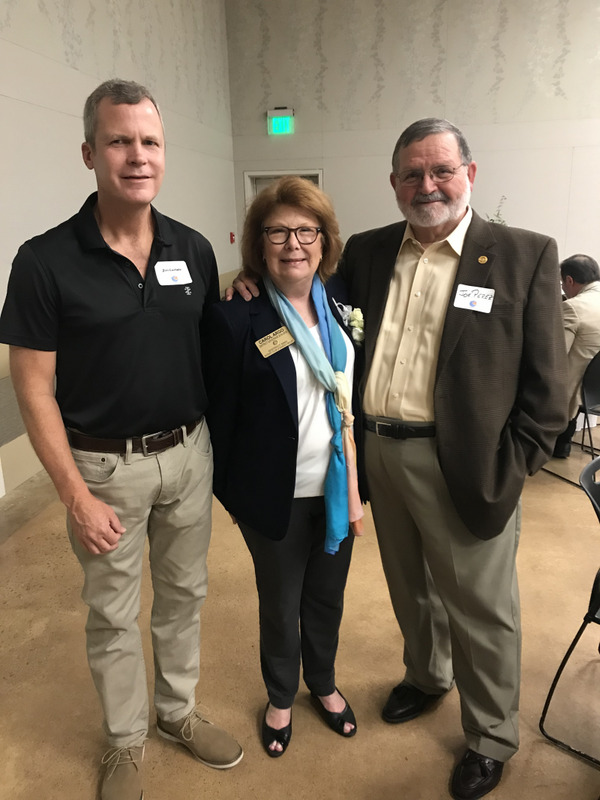 A Rotarian since 1960, Glenn was a member first in club #41 at Jacksonville, Florida (USA), and then Wayne, New Jersey (USA). Glenn was an Advisor to the 1997 Rl Convention Committee, PolioPlus National Coordinator in 1987-88. During his tenure as a Trustee, Glenn served as Chairman of the Foundation's Finance Committee and Vice Chairman of its Program Committee. He was Rl's International Assembly Chairman and Moderator in 1999. He formerly was a member for four years and Chairman for one year of Rl's Audit & Operations Review Committee. This is Rl's only committee having a six-year term. This Committee serves in an Advisory role to the Board of Directors. Glenn was also the Chair of the 2002-2003 Membership Development and Retention Committee. 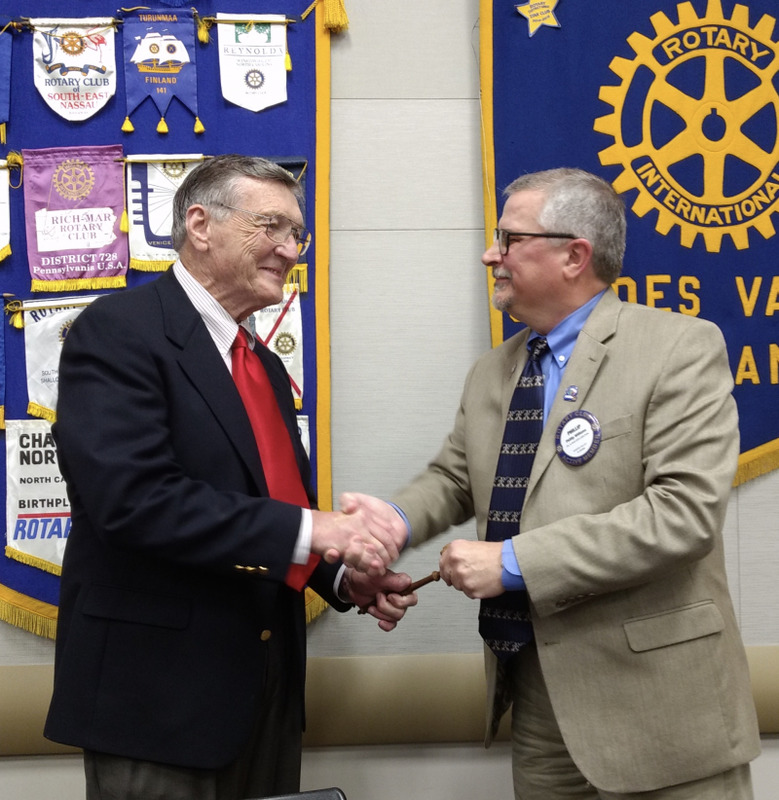 Glenn is a Rotary Foundation Major Donor, a Paul Harris Fellow, and a Benefactor. He is the recipient of the Citation for Meritorious Service and The Rotary Foundation's Distinguished Service Award. Glenn and Mary have three children and eight grandchildren. Sixteen members of his family are Paul Harris Fellows. 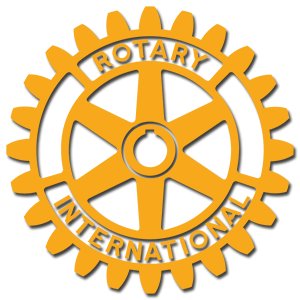 "Rotarians are a diverse group of people, from differing backgrounds and often of differ­ent cultures. We have learned firsthand that Rotary does contribute to better understanding among people. Each experience adds to our number of special friends. 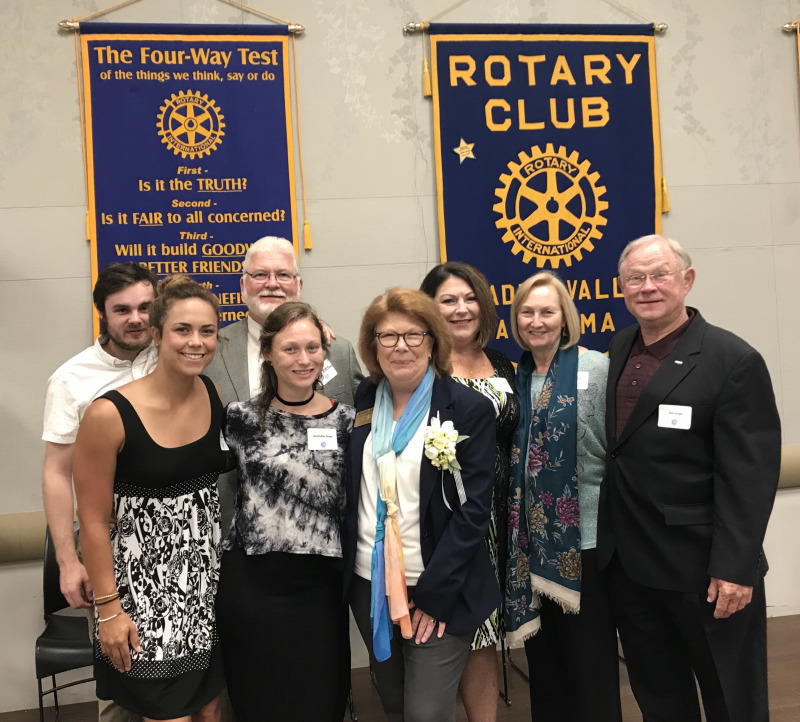 I appreciate being a part of this and I am a Rotarian because of it." 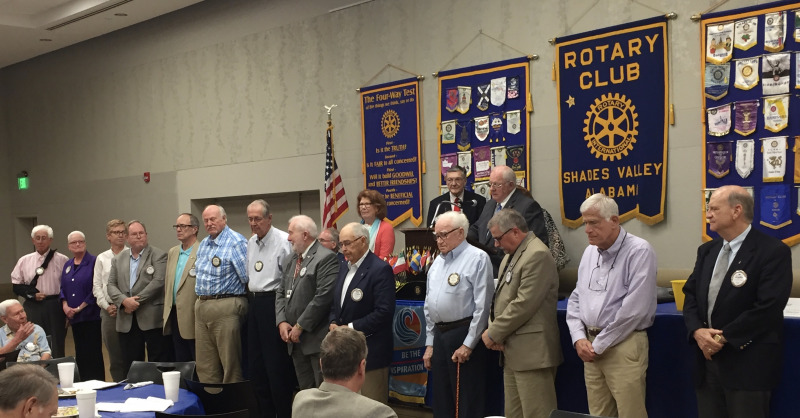 This project was initiated as a Centennial Twin Club project between the Rotary Club of Shades Valley, Alabama at the Rotary Club of Osaka Central Japan. 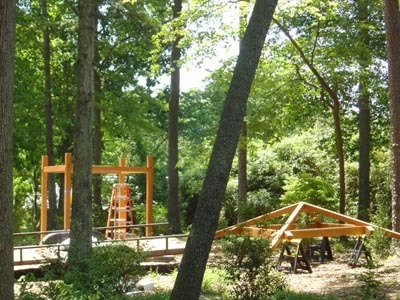 The project site is the Birmingham Botanical Gardens (BBG). The objective of the project is to promote world peace, friendship and understanding through the exposure to an authentic Japanese bell housed in a traditional style Japanese belfry. 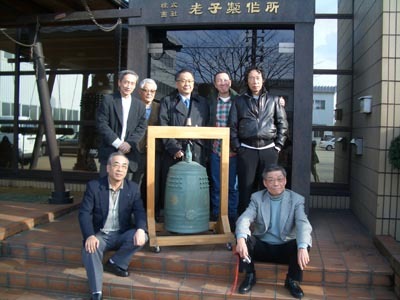 The Rotary Club of Osaka Central donated the bell and designed the architectural plans for the belfry. The building of the belfry has taken longer than originally anticipated but the project is now fully underway. The bell was officially inaugurated during the Rotary Centennial year and was officially introduced to the public on a temporary stand on October 9, 2005. The Birmingham International Festival, The Japan America of Alabama and the Birmingham Botanical Gardens hosted an afternoon of cultural activities and events at the BBG in celebration of Japan. The Japanese bell was brought out as an integral part of the festivities with guests being invited to ring the friendship bell. Guests were informed of the background of the bell and were instructed on the appropriate way to ring the bell. The ringing of the bell could be heard through out the gardens all afternoon.